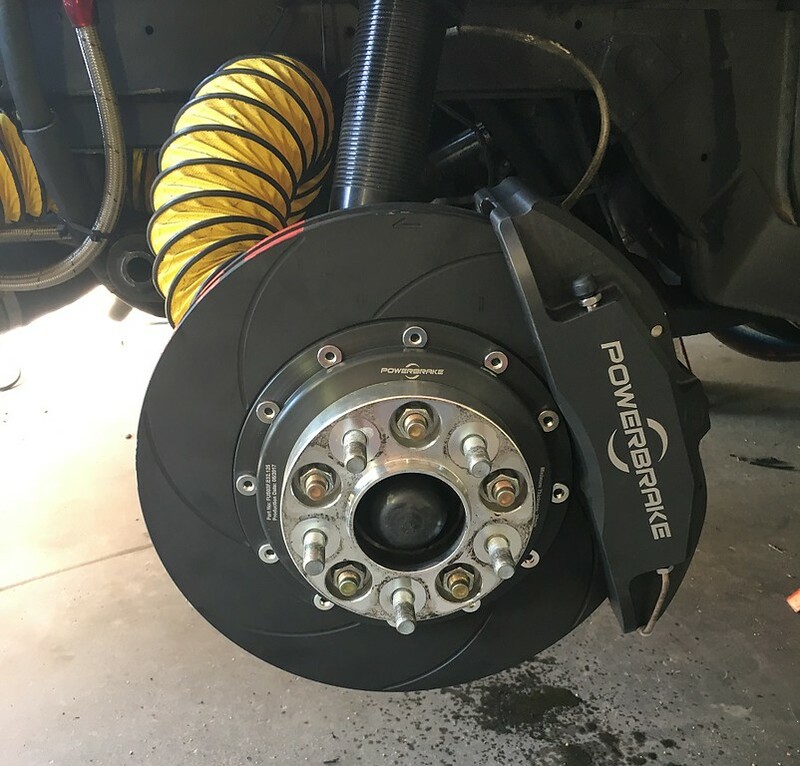 This Powerbrake kit is made to replace the front brake components on the SN95 chassis - rotors, calipers, lines, and brackets. 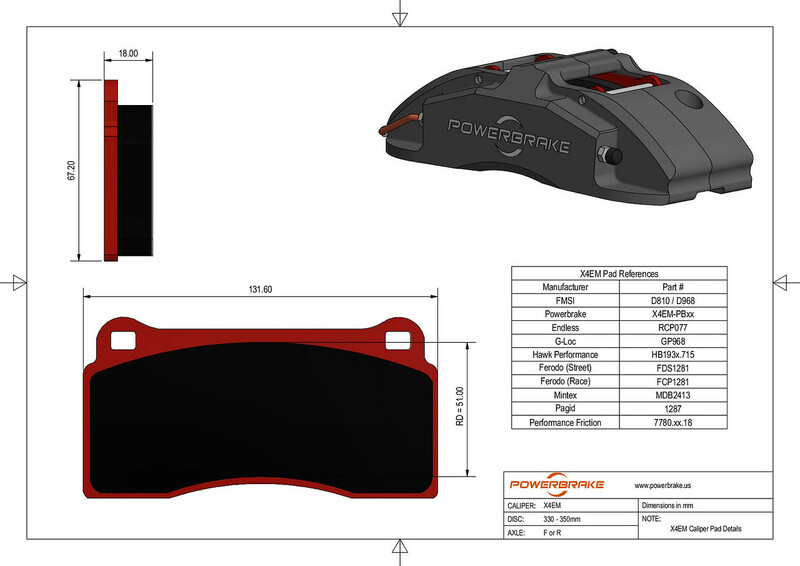 The engineers at Powerbrake have designed this kit so that when using the factory rear brakes and master cylinder, hydraulic ratio and pedal travel will not be affected. 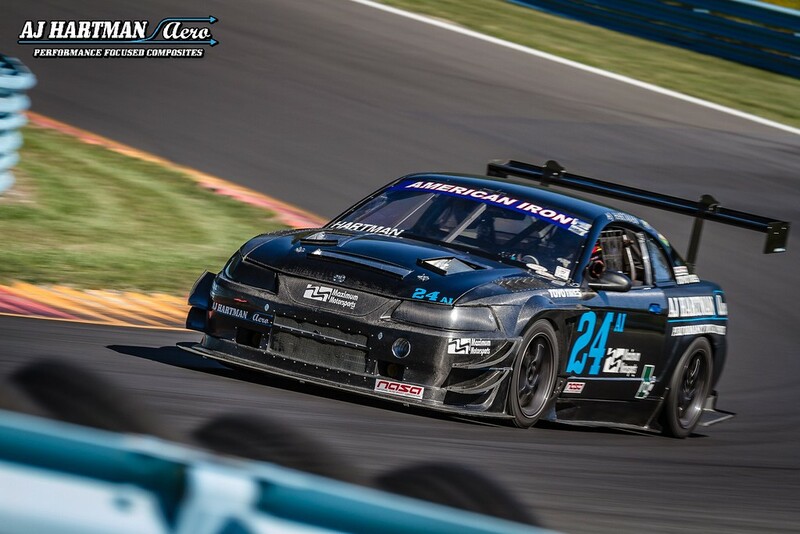 There are many advantages of the X4EM 4 piston brake kit for the SN95. We often see that with motorsports grade components your cost per lap will go down. True racing calipers look after the pads and rotors better than the OEM calipers with track pads. 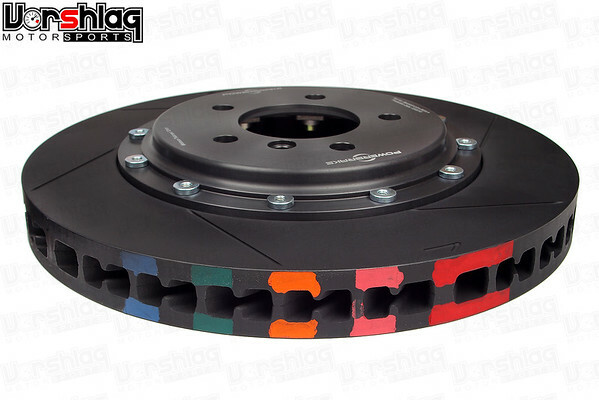 This means you will see drastically improved brake performance, with less wear, for a longer period of time. For many years upgrading to Cobra PBR calipers has been the "go to" upgrade for GT or V6 cars. The PBR caliper accompanied with the 12.9" rotor still falls well short of performance when matched against a brake setup like this. Recently there have also been some kits that adapt the S197 Brembo calipers to these cars, but those kits also are full of compromises when compared side by side. The Brembo calipers are heavier (see a weight comparison HERE), and some of those kits require you to get new wheels as they change the offset needed! This brake package will not fit under stock wheels in most cases. If you have aftermarket wheels that currently fit over the SN95 Cobra PBR calipers and 12.9" rotors, than chances are good they will fit over this brake kit. We can supply you with a brake template to verify fitment.